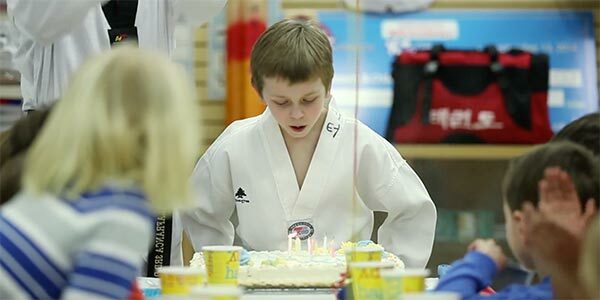 Birthday Parties – Martial arts themes birthday parties for children in the northern Columbus region. Tiger Woo’s martial arts classes are a great way to instill confidence, build strength and agility, control weight, sharpen focus, increase self-discipline and respect, reduce stress, and develop coordination in a fun environment where you will build lasting friendships with positive, like-minded individuals. 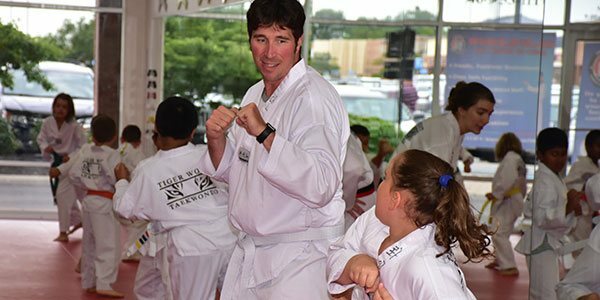 We strive to provide a clean, bright, and safe training environment – the finest facility, and the best martial arts instruction available in the Columbus area. 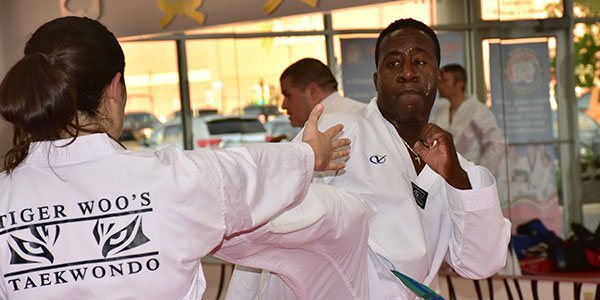 At Tiger Woo’s World Class Tae Kwon Do we are dedicated to maintaining an encouraging atmosphere and learning environment. It is our intention to balance positive discipline and a high level of expectation with respect, enthusiasm, encouragement, and support. We constantly do our best to be role models for what we would like our students to learn. 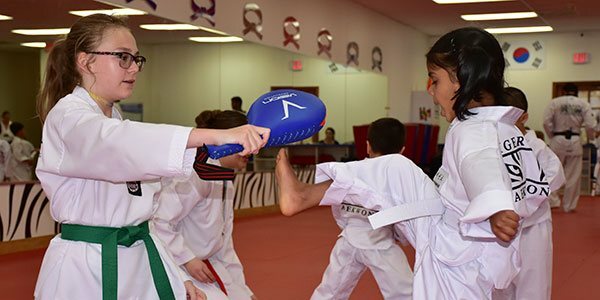 At Tiger Woo’s World Class Tae Kwon Do, our intention is that our students learn skills to be prepared for success in life as well as in martial arts. Master Youngkong Woo, a fifth degree black belt in Tae Kwon Do, a third degree black belt in Hapkido and a second degree black belt in Tuk Kong martial arts from Military Special Forces, has over 25 years experience in the martial arts field. Master Woo began training in Tae Kwon Do at the age of 6 years old. He earned a Bachelor’s Degree in Tae Kwon Do in 2008 from South Korea’s top martial arts school – Yong In University. Master Woo was a former member of the world famous Korean Tigers Demonstration Team from 2002-2004. In 2007, he competed in the U.S Open Tae Kwon Do Championship and received a gold medal. 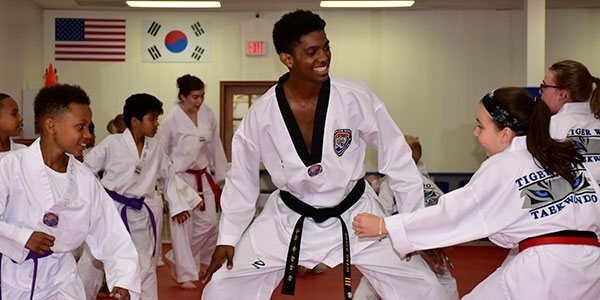 In 2008 Master Woo Sup Kim, the founder of Tiger Kim’s World Class Tae Kwon Do, and the 2012 U.S. Olympic Taekwondo team captain, recruited Master Woo from Korea to become a Master Instructor in one of his Tae Kwon Do schools in High Point, North Carolina. The High Point location serves over 400 students, ranging in age from 4 – 79 years old. 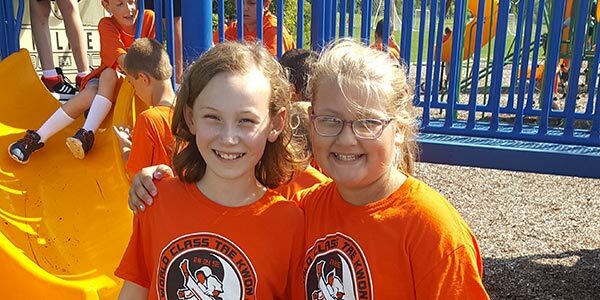 The Tiger Kim’s organization serves over 1,500 students among 4 schools. Master Woo led the Tiger Kim’s Elite Demonstration team to 3 international titles and 10 first place national championships.